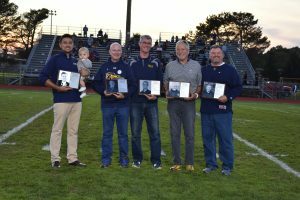 To recognize and pay tribute for outstanding athletic achievement, coaching or service to Portage Central High School (PCHS) since its inception as Portage Agricultural School in 1922. Special thank you to Keith Wester for his major donation to the PC Hall of Fame. If you are able to contribute any finances individually or as a group, please contact Joe Wallace the director of athletics at Portage Central High School at 269-323-5256. Nominations for the class of 2019 are now being accepted: If you know of a former outstanding PC athlete, coach and citizen please fill out a Nomination Form and submit this to the Portage Central Athletic Department.